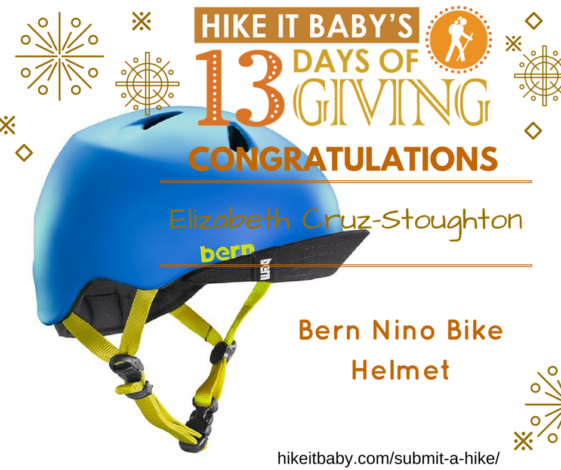 Congratulations to our sixth winner of Hike it Baby’s 13 Days of Giving, Elizabeth Cruz-Stoughton, for Leading a Hike this year and winning a Bern Nino bike helmet!! 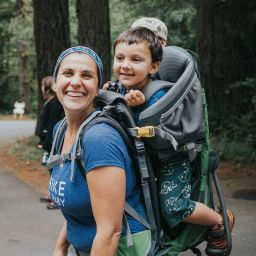 Hike it Baby cannot operate without the volunteers who submit and lead hikes around the world. We are so thankful for those of you who hike with us and we want to give back! With the generosity of our prize sponsor at Bern we are able to give away this awesome prize and have more to come! 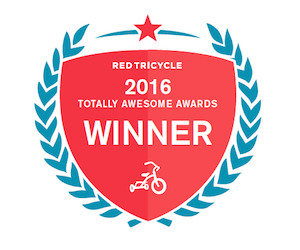 Do you want to be entered to win a prize from our amazing prize sponsors? It’s fun and easy, all you have to do is submit a hike to the Hike it Baby calendar! 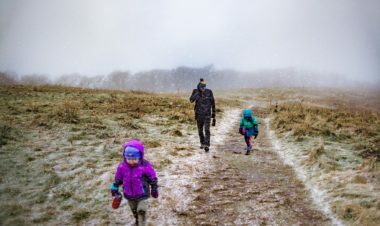 This small but spectacular act helps keep us motivated and inspired to get outdoors with our families – and it enters you to win prizes!